Blockchains are generally implemented to cover an entire industry or as giant projects configured for governments. There is significant investment and running expenditure involved in installing and maintaining a blockchain. Small businesses cannot think of setting up their own blockchain. So as the world moves on top gear to embrace blockchain technology, is there no room for small business to reap the benefits. Talking about business we will focus on industry based blockchains. Any industry has a number of companies or organizations within it. So for example, the automobile industry would consist of several automobile manufacturers. Don’t forget that third party ancillary part manufacturers are an important part of the global automobile industry. When setting up an industry specific blockchain, every attempt should be made to include both, small and large players within the industry. This is best explained by the detailed GLITZKOIN project plan. The blockchain based diamond trading platform as detailed in the project, will allow diamond sellers of all sizes to list their diamonds. Conditions will obviously be fixed to ensure that only, genuine sellers and authenticated diamonds are allowed to participate. On the other side, anyone interested in buying a diamond can participate on the same GLITZKOIN blockchain. The buyer could be a diamond veteran or a first time buyer. This obviously means that small sellers and buyers would be welcome on the diamond blockchain. There is no reason why all participants on an industry based blockchain, should be directly involved in buying or selling products or services, that are provided by the companies within the industry. For example, a blockchain for the hotel industry, could include third party vendors who offer support services like laundry and those who provide related items like towels and napkins. It now becomes clear that, smaller businesses that support the main industry could also be allowed to participate on the blockchain. If you talk more specifically about the diamond industry, services like insurance and high security transport of diamonds is almost always, handled by third party service providers. 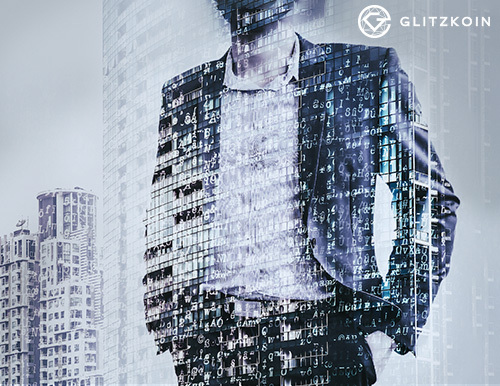 GLITZKOIN does plan to implement additional features in phases, this would allow related service providers like shippers, insurance agents, packaging services to operate on the same blockchain. To really benefit from industry based blockchains, smaller businesses will need to streamline their processes and be open to change. Transparency and attention to detail is necessary for a blockchain based project to succeed. This irrespective of whether the participants are small or big.